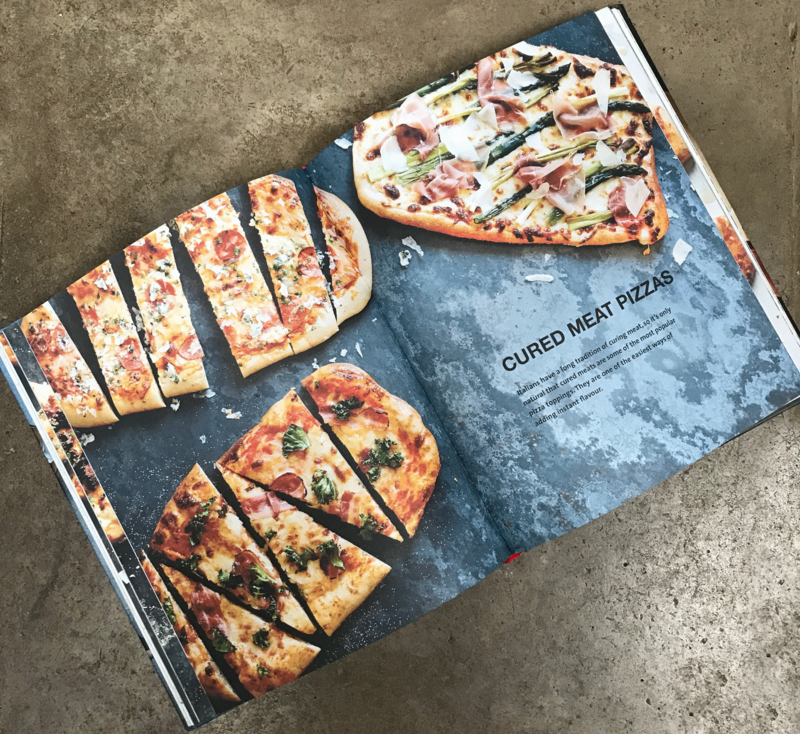 No matter how often you cook, how well you know and love a subject, the aim of an ambitious cookery book is surely to take you to the next level. We’ve loved playing with Saturday Pizzas in an attempt to be able to make the complicated simple, to find a series of techniques that make creating pizzas something we can put into our lives with ease. In the process we have learned how to get the best out of our stand mixer; and discovered a convenient technique where we can make the pizza bases in the morning and then finish just when needed. We have tried the basic pizza recipe, and the sourdough base as well. Both work brilliantly – though it’s important to follow the instructions and put the balls of dough on a plate, as keeping them entire makes the final stretching process much neater. We began by making the simple garlic bread pizzas, to really discover the elements of the dough, and get the pizzas perfect. We now have time to discover the wonderful combinations: on the menu today is left over roast chicken with thyme and aioli. Philip Dennhardt and Kristin Jensen have demystified a subject that we love, and helped us put it into our lives again.